Parker "Marlee" polka-dot sweater with ruffle trimmed shoulders. Approx. 21"L from shoulder to hem. 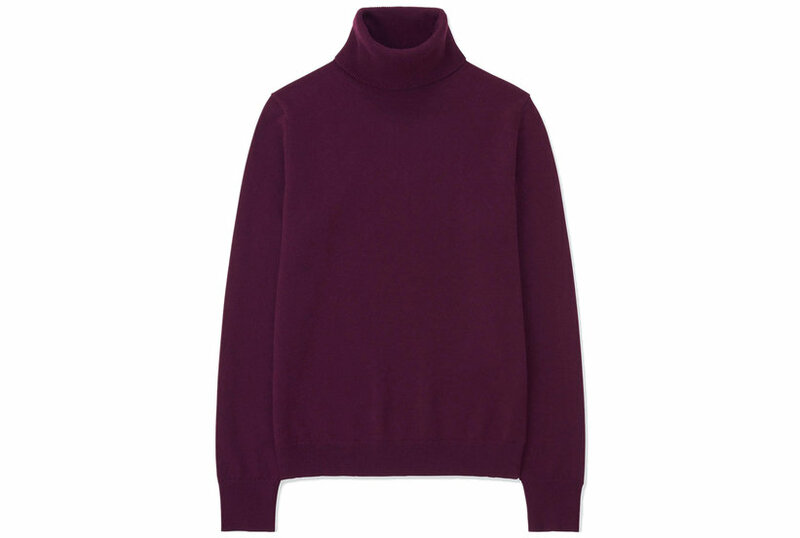 Turtleneck; ribbed. Long sleeves; ribbed cuffs. Semi-fitted silhouette. Pullover style. Cotton. Dry clean. Imported. Co wool sweater. Ruffled, turtle neckline. Long, blouson sleeves. Slim fit. Pullover style. Imported. Ribbed-knit turtleneck top with long sleeves featuring a front cut out detail with cut outs along the sleeve and o shape rings. Long sleeve boat neck ribbed fitted sweater with no closure.